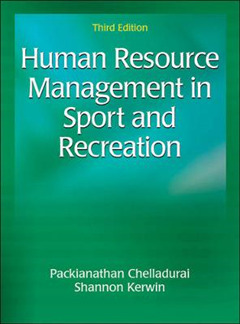 Human Resource Management in Sport and Recreation, Third Edition, provides current and future practitioners with a solid foundation in research and application of human resource management in the sport and recreation industries. 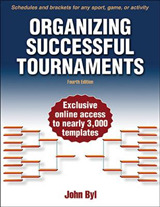 The third edition prepares students for success by bringing into focus the three divergent groups of people who constitute human resources in sport and recreation organizations: paid professional workers, volunteers, and the clients themselves. Dr. Packianathan Chelladurai, pioneer in the field of sport management, continues to bring his expertise to this edition; he is joined by new coauthor Dr. Shannon Kerwin, an active researcher in organizational behavior and human resource management in sport. With more than 50 collective years of experience in teaching management of human resources, Chelladurai and Kerwin synthesize the core dynamics of human resources and the management of these resources as well as the role of the sport and recreation manager. The third edition's updated references, examples, and studies reflect the increased growth, interest, and complexity in human resource management in recreation and sport in recent years. Additional enhancements of the third edition include the following: - A new opening chapter on the significance of human resources describes consumer services, professional services, and human services and provides a model for the subsequent chapters. - A greater emphasis is placed on recruitment and training as an essential component of success. - New "Technology in Human Resource Management" and "Diversity Management of Human Resources" sidebars connect theory to practice for sport managers as they confront contemporary issues in the workplace. 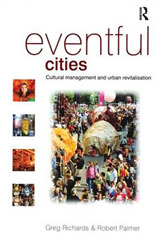 - Case studies at the end of each chapter help students apply concepts from the chapter to real-world scenarios. - Instructor ancillaries help instructors prepare for class with the use of an instructor guide with a syllabus, tips for teaching, and additional resources, as well as an image bank. In addition, updated pedagogical aids include learning objectives, summaries, lists of key terms, comprehension questions, and discussion questions to guide student learning through each chapter. Sidebars throughout the text provide applied concepts, highlight relevant research, and offer digestible takeaways. 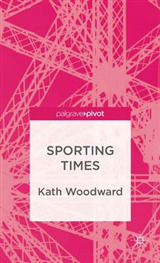 Organized into four parts, the text begins by outlining the unique and common characteristics of the three groups of human resources in sport and recreation. 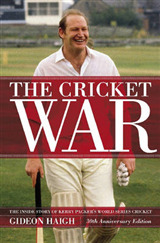 Part II focuses on differences in people and how the differences affect behavior in sport and recreation organizations. In part III, readers explore significant organizational processes in the management of human resources. Part IV discusses two significant outcomes expected of human resource practices: satisfaction and commitment. 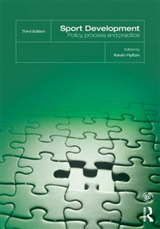 Finally, a conclusion synthesizes information and presents a set of founding and guiding themes. Human Resource Management in Sport and Recreation, Third Edition, explains essential concepts in human resources in the sport and recreation industries. The authors present a clear and concise treatise on the critical aspects of management of human resources within sport and recreational organizations to help aspiring and current professionals maximize their potential in the field.